Reading the information linked in the steps below will provide you with everything you need to independently plan and book your Raja Ampat visit. Find out if traditional Papuan homestay accommodation will suit you by reading this important introduction. Check to see if it will fit your budget. Raja Ampat is great value but West Papua is more expensive than other regions of Indonesia. Decide when to go. Check our weather info page for the best time of year. Decide which islands have to be on your itinerary. See these island information pages. Choose your accommodation – here are all the Raja Ampat homestay options, and here is our Raja Ampat maps page so you can see where everything is. To quickly find accommodation that offers diving and any other services and facilities that might be important to you, use the accommodation page search filters. Boat travel in Raja Ampat is expensive! Plan your trips carefully to avoid backtracking. This article will help you estimate trip and transfer costs. Make a booking by using our free online booking form to automatically translate and send your request. Please do read this important information so you understand how our booking system works. All homestays provide tours and guides, but if you have a special interest, need help in Sorong, or want to visit areas without homestays, here are the guides that can help. Find your flights to Sorong, West Papua. Read our How to get to Raja Ampat page. Check out some of the activities you might enjoy while you are there. Keep up with the latest news, and contact other travellers to share the fun and the costs. Follow our facebook page and/or join our Raja Ampat Travellers’ Forum facebook group. Bookmark our Raja Ampat Environment Watch App so you can help in the conservation of Raja Ampat’s marine and terrestrial wonders. Organise the Indonesian Rupiah you’ll need before you get to Sorong (see the Money, Banks and ATMs page). Catch that plane to Sorong! Get your Raja Ampat Marine Park entry permit tags. Top up your Indonesian Rupiah – there are no ATMs outside Sorong and Waisai. It’s island time – get that ferry! Have an amazing time. It’s not hard. Don’t forget to observe cultural sensitivities and leave the islands as beautiful as you found them. Please, leave feedback about your experience. There are very few voluntourism enterprises in Raja Ampat, but please do consider supporting these effective Raja Ampat conservation initiatives. Tell your friends. A well patronised locally-owned ecotourism economy is (provided that tourists visit responsibly and don’t overburden local infrastructure) the best chance Raja Ampat has of protecting its environmental treasures from the lucrative but incredibly damaging resource extraction and development pressures that could destroy it. I am planning a trip to Raja: 1 diver (myself) and 2 non-divers. What would be the best island/area in Raja Ampat for the 2 friends while I am on a liveaboard for a week? Both of them are interested in nature, animals and local culture. Thanks! One of the homestays near Waisai ticks all those boxes and would be most convenient and cost effective, Helena. Thank you for all the information on this site it’s fabulous. I looked on the website for information about the renewal of the 30-day visa. But I didn’t find anything. I applied for a 60-day visa in my home country but I think they will refuse me because I didn’t put a sponsor. I didn’t know what it was. So I think I need to make a 30-day voa visa and renew it in Sorong. Can you tell me how long this could take? Do we need a sponsor? Is there an agency that could help us in Sorong? It is very difficult to find information on it. Can you help me to anticipate all the problems. You don’t need a sponsor if you are applying for a 60 day tourist visa. A sponsor is only required if applying for a social visit visa. It would be much easier, more convenient and would sidestep any potential problems if you are able to get a 60 day tourist visa in your home country. It shouldn’t be a problem to do that. I heard from some people that the only way to discover the stunning and unique dive spots in Raja Ampat is to go on a liveaboard. Is this true or can you also visit this places by daytrips? If it is not so. What’s the best place to stay for diving? That’s definitely not true. Homestay dive centers dive almost all the same sites that liveaboards do, and provide the service at a fraction of the cost. Homestays can also take you anywhere you want to go, including many places inaccessible to liveaboards. If you design a trip staying on a few different islands, you’ll see quite a lot just on the transfers between them. We’re not divers, so can’t say what the ‘best’ dive center is, but reading the reviews on the individual pages of the establishments linked from this page will hopefully help. I will be going to Raja ampat in the 1st week of December(landing in Sorong on 2nd). I plan to spend 3-5 days there. Can you suggest any good dive centers to plan diving there. I looked online but could not find something concrete. Also, in your opinion is the number of days too less? My main goal is to dive there and wanted to get 5-6 dives done there. Lastly I am traveling there solo so can you recommend home-stays/hostels which are best for socializing with other travelers? You will find Raja Ampat dive centers linked from this page. Please click through to individual pages and read the guest reviews to decide which might be best for you. You could easily do 6 dives in the time you have planned. Kri accommodation is the best for meeting other travellers. You can easily find Kri accommodation with on-site dive centers by simultaneously applying the “Kri” Location filter and “On site dive center” Activities filter on our accommodation page. Thanks a lot for your reply. The options with on site diving are all in Kri or Bam. Are there no dive centers in Waigeo or Waisai? Another question I had was regarding the ferry from Waisai to Sorong. On your website according to the schedule given the earliest ferry is at 9AM and it takes 2 hours to get to Sorong. But when I look at flight options to Bali, most flights leave in the morning between 8 to 11AM. So is there any way(except for taking a personal speed boat as that is too expensive) to take those flights without having to go to Sorong a day before the flight? No Homestay Association dive centers on Waigeo yet, Gaurav. There are others that a search engine will find though. Chartered boats are the only way to get to Sorong before the morning ferry does. We avoid the problem by flying Garuda. (Which is the most reliable airline and also lets you change economy class tickets without penalty if you need to.) Garuda has a flight departing from Sorong at about 2pm. It goes to Makassar, from where a connection is available that will land you in Bali at about 9pm. Thanks guys for your responses. They were indeed very helpful. First congrats with the site. As long as you don’t want to stay at one of the most popular places, then yes – you’ll be able to find a place on Kri and/or Arborek. Bear in mind that we give homestays 2 days to respond to booking requests – most usually reply within a few hours, though. If by any chance you don’t secure a booking before arriving, the Homestay Information Center in Waisai will be able to organise something for you. hi , I am from India and need to know how to reach there and also which island would i be coming and sight seeings . can someone please help .or guide me with the packages. Sorry Rashmi, but we are not travel agents and do not sell package tours. We only provide information for independent travellers to arrange their own itineraries. Hello, We’re planning on visiting Raja Ampat for a week after Banda islands in October, is it wise to book homestays in advance for this period and if so how long in advance. We are then also flying back to Sorong in February next year, is this more or less high season than October and the same question really, should we book our accommodation in advance at either time ? Thank you! If you don’t mind where you stay and are happy to check in to anywhere that has a room available then you don’t need to book ahead. If you want to stay at a specific homestay, then yes – it’s best to book ahead. How far ahead depends on which homestay. Most don’t need more then a few weeks’ notice, but the most popular often need more at those times of year. Thank you so much, that’s most helpful. So are October and February both high season, busy periods in the islands ? Might you also feature Misool home stays in the future? I have read about one called Nut Tonton but it’s hard to find anything about either this homestay or others in the area, there don’t actually seem to be very many, is that right ? You’re welcome Annie. Yes – October and February are both quite busy. Unless the Homestay Association extends its representation to include Misool, then it’s unlikely that we’ll ever get around to adding the Misool homestays: We’re not based in the islands, and it’s all we can do to keep up with developments in northern Raja Ampat! Our Misool island guide has contacts for guides who can help you with Misool, and there are several members of our Raja Ampat Travellers’ Forum facebook group who know far more about it than we do. You’re welcome to join! grateful for your help. Keep up the good work, the website and the effort you you put into it is truly inspirational. Thank you so much for this amazing website. It seems that you are putting so much sincere effort to preserve the richness and biodiversity of this paradise, and in the same time helping travelers plan as best as they can. I appreciate your detailed and considerate work. I hope that I can come visit sometime! Thanks for the great information! Going to help me a lot in planning my trip! Do you have any information for tides? We haven’t posted any yet. Maybe we should! Internet has plenty though: Here’s one. Hello my name is Alex Burch. I have been contacting the email and both numbers and have not had a response. Please let me know that is going on. Thank you. You haven’t said which homestay you’ve been trying to contact, but if you want to make a booking and are sure of the dates you want, the easiest way to do it is to submit the booking request form on the homestay’s page. I am planning to visit Raja Ampat from June 13 to 20, 2018 on either homestay or Resort on Gam Island. From experience, what are the chances to get some nice sunny weather and not only rain. 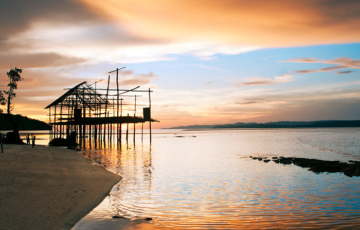 And from where is it best to organize a day trip to Piaynemo? Almost all homestays can arrange trips to Piaynemo and many publish prices on their pages. This is probably THE best tourist website I have ever browsed. I am planning on visiting Raja Ampat at the end of December for about 30 days. What I cannot seem to find is information about boat transfers between islands. Can this be arranged with homestays to take me from one to the next ? I will probably want visit at least 5 or 6 different ones. And a well deserved brickbat. Kind of shocking that we overlooked that. Thanks again Philip – and we’ll fix that right now. Transfers between islands can be arranged with either your current hosts, or with the place you’re heading for. Your hosts should be able to call your destination for you if you can’t. So, if using the website booking forms to book, you obviously only need to request a Waisai pickup from the first place you stay at. Thank you so much for the swift response. I kind of assumed that may be the case But It’s always best to check and confirm ! Just a thought for you would be to perhaps add to your wonderful website some suggested itineraries? like a 5, 10, 15, 20 day trip ? I do appreciate there are many variables but sometimes it is easier to offer a ready made “package”for people . Which could show possible costs with transfers and a few excursions ? I have been lucky enough to visit raga ampat twice in recent years and love everything about this very special place and it’s extraordinary flora, fauna and friendly people. So I very much hope that your website and efforts help the local people. It’s a special place indeed – and we’ll be adding package tours later this year, once all the details have been worked out with the service providers. Can i have my extension stamp at Sorong immigration office and if i can, what is the price for that? Apologies! We thought we’d responded to this already. Perhaps our response was lost in our recent website upgrade…. Anyway, just in case we didn’t, (and hoping it’s not too late now) we can confirm that you can extend visas at Sorong, but we don’t know if they charge the standard prices. Many thanks for your fantastic service and for all the information. We have just returned from Raja Ampat and would like to also contribute a little bit. The flight from Sorong to Marinda Airport – Waisai (Raja Ampat ) takes 30 minutes. We took it directly (coming from Jakarta via Makassar) and didn’t have to spend a night in Sorong. Transport from the airport to homestays in this island or to the Port is very easy. There are drivers with cars that will take you for IDR 200,000 or 250,000. The main problem is that sometimes these flights are cancelled because of the rain. Thanks for all the useful information available on this great website! I’ve not seen any comment about sandflies. Are they present on the islands? Yes, they are around. Not everywhere, and they seem to be seasonal too. Insect repellant is a must anyway, as there’s also a malaria risk. More about health related stuff here. Hi again, I’m planning to travel to the islands in January-February, is the season bad or good? And do you know on which islands they are less or more present? Sorry! Can’t recall what month it was that we encountered them. It was at Kri and at Saporkren on Waigeo, but we’ve been at those places at other times and not had a problem. They’re likely to be anywhere there’s sand really. A decent insect repellant keeps them at bay though. It’s very common to see small sharks. Dugongs are less common, but if you can spend a few days at a Batanta homestay you will almost certainly see one. Sorry, but we don’t understand “itvi”? Our step by step guide provides links to the answers most Raja Ampat visitors ask. We have questions related to Ramadan in Raja Ampat. Are any of the homestays closing or not serving food during the day? Will there be transportation issues during Ramadan and Idul Fitri right after? Overall what is Raja Ampat like during Ramadan. FYI to all travelers Ramadan 2018 is May 15th – June 14th then there is Idul Fitri holiday thru June 17th. Homestays are all open and will be serving food in the daytime during Ramadan. The ferries between Sorong and Waisai can sometimes be a bit busy during the Idul Fitri holidays, but there are not usually transport problems in Raja Ampat like there can be in other parts of Indonesia during Lebaran. Overall, Raja Ampat during Ramadan and Idul Fitri is very much like at any other time of the year. I definitely will bookmark this. Thank your for your thorough writing and extensive information. I was born in Biak island, I wish to go to Raja Ampat with my kids during their Summer break. I hope June – July is still considered a good time to go, weather wise. I’m sure all of this information will be helpful for us. We hope you get to go! June is usually a good time to be in Raja Ampat, but the windy/rainy season usually starts around the end of that month. The best time of year to avoid windy conditions is October to April. Hi, I want to go to Raja Ampat in December. Coming from Bali. Is there a direct flight from Ngurah rai to Sorong? If not, is via Jakarta the best option? You’ll find a detailed answer to that question by clicking the link provided at point 10 above. Best option to Sorong from Bali is via Makassar. What is the recommended tipping amount for homestays? Homestay families are happy that guests are willing to pay to stay in their establishments and don’t expect tips. Of course it’s up to you if you feel something extra is warranted for exceptional service, but our feeling is that it would be a shame to create a culture of expecting tips as a standard practice. Hi I’m heading to sorong 24 may and staying a night there. Then want to take a look at the islands over the following few days. I can’t find a lot to suggest where I should be located to do that from. Have read about renting a private boat, sounds ok. Im pretty flexible. Not that keen on diving, only don’t it once. Any place you choose to stay can organise a boat for you Daryl. The best way to take a look at the islands would be to choose a few different island groups to stay at. Hi there..we planning to go there on Oct this year..read couples of articles but still confuse..hope someone could help me out..we flying from kuala lumpur to makassar and then we have to fly again to sorong am I correct? Or can we just take a boat? How long it takes? How far is makassar from sorong? The make it easy is could someone just explain to us how to get to raja ampat from makassar? Thanks in advance for your help.. Yes, KL to Makassar, then Makassar to Sorong. Please click the link provided at 10 above. Everything about getting to Raja Ampat is explained there. Sorong is around 1400km (about two hours’ flying time) from Makassar. Buenas noches, me gustaría saber si a parte de la empresa Pelni, hay otras compañías que ofrezcan trayectos de una isla a otra. He visto que Pelni ofrece trayectos desde Sorong a Waisai, otro desde Sorong a Piaynemo, a Wayag, a islas Arborek y dos destinos más. Mi pregunta es si hace falta siempre volver a Sorong para ir a otra isla, porque por ejemplo, mi pareja y yo queremos ir a Waisai, Piaynemo y a Wayag pero sin tener que volver a Sorong. Dentro de la página web de Pelni, no conseguimos encontrar las rutas exactas que he mencionado. Tampoco estamos encontrando mucha información sobre cómo moverse por las islas. En vuestra página web y en algún blog, hemos visto que el dueño del “homestay” organiza excursiones como salidas de pesca o buceo; nosotros queremos ir más por libre pero no podemos contactar con nadie porque todavía no hemos realizado ninguna reserva. With the exception of Sorong-Waisai, for which the best option is the Bahari Express ferries described above, the easiest and best way to travel between islands is to arrange transport with your homestay. All homestays can transfer you to any other island you wish to stay on. You don’t need to book transfers in advance – you can just arrange them on the day. Hi Stay Raja Ampat, first of all I would like to compliment you greatly for your site, it’s very helpfully, and so easy!!! I’ll be to waisai on 2nd of March. I’ve a problem: I would like to visit W A Y A N G.
What is the best place to stay ??? ?………..not so far from Wayang!!!!!! Are there some trip escursions to visit Wayang? Can you help me please to choose the best solution?????? Use the advanced search on the accommodation page and select the “Wayag trips” in the Activities column to quickly find homestays advertising Wayag trips. Homestays in Manyaifun and West Waigeo are the closest. Piaynemo is a much closer and easier place to visit that affords similar vistas. Hi stay raja ampat, we just been there and the schedule of the ferry waisai sorong has some alteration. When we got there on Monday, ferry leaves sorong at 11am and another one at 2pm. Some days, it starts at 8am on Tuesday, Thursday, Saturday and Sunday. Wednesday and Friday they have 9am ferry. They also have the 2pm ferry everyday too. You may want to update the website. Ferry timetables are a constant headache! 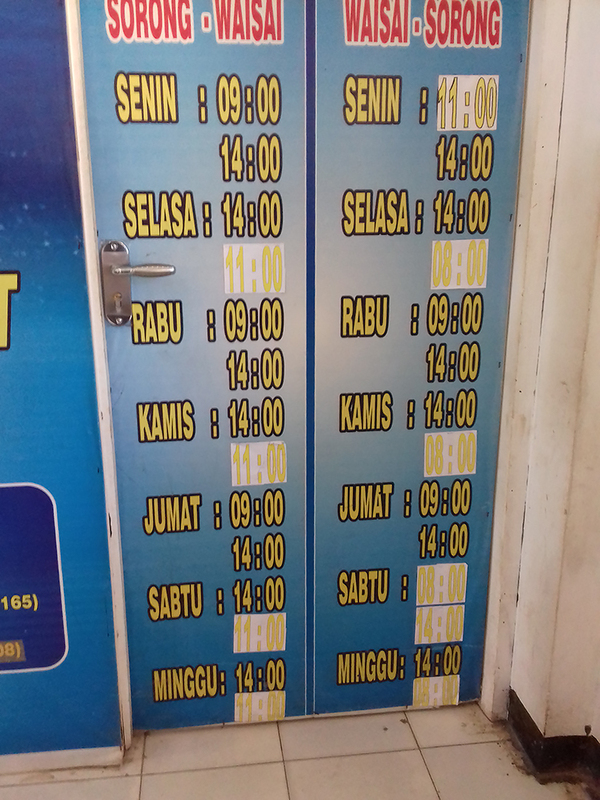 We’ve just returned too, and the picture below shows the timetable at the Sorong terminal which the ticket office staff assured us was correct. We noted there was one difference between it and our most recently published schedule. HOWEVER: On our return from Waisai, there was no 0800 Saturday ferry as advertised. Its departure was at 1100 instead. We were luckier than our host’s guests the previous weekend: He had called a Waisai ticket agent on their behalf and was told the times were 8am and 2pm as advertised. His guests decided to go at 2pm, but when they got to the harbour they discovered the boats that day had left at 8am and 11am! Sadly, to be absolutely certain of catching a flight from Sorong, the best approach remains to return to Sorong the day before your departure. Happy New Year … Hi … Hello … Everyone … I’m traveling to Sorong by this Monday (9 January 2017) … I’m planning to be in Raja Ampat area from 10 till 20 January 2017 … I’m interested to go to Wayag & Piaynemo (dates are flexible) during my stay in Raja Ampat … This is my 4th trip to Raja Ampat since January 2004 … As such I’m looking for any other people that might want to share expenses for the trip to Wayag & Piaynemo. I’m able to converse in English, Bahasa Indonesia/Malaysia and (passable) German. Hi, your site is great but I’d really appreciate a little more help. I’d like to come in Feb with my 2 children (10 & 12yrs old). I’ve looked at loads of the homestats and they all say the accommodation is for 2 people, do you know if anywhere that is for 3? We want a snorkelling holiday with lots of boat trips to different reefs but I am on a budget, so would look to save money on fuel costs / boat trips if possible. Homestay rooms are set up for 2 usually, but extra beds can be added if required, so it’s no problem for any of them to accommodate 3 in a room. The best way to save on boat trips is to share them. If you stay at a Kri homestay you’ll have the best chance of finding other snorkellers to share trips with. Hello. We will be arriving at Sorong on Sunday 11 Dec and immediately boarding a liveaboard diving boat. Is there anywhere open on Sunday morning to buy a few cases of Bintang for the boat trip? And do you know how much we should expect to pay for a case of Bintang? Very little is open in Sorong on weekdays before about 10am, so we imagine you might have a problem there! Also don’t know where you can buy Bintang, or what the going price is. A taxi driver (or your guide) would be the best person to ask. Hi, is there anything on Raja Amat that can eat you (e.g. sharks) or bite you (e.g. snakes) ? Is alcohol available ? See the link at 11 above Bill. Beer can be purchased at a few places, but that’s about it. I’m wondering if it’s necessary to book all the accommodation in advance? For example, say if I were to first stay at Mansuar, and would later like to stay at Kri or Gam…? Would it be wise to have everything planned to the T or leave some room for spontaneity? I believe boat rides are expensive and would like to see if there are others who want to share the ride. No – it’s not necessary to book in advance unless you want to stay at one of the busier homestays. You’ll always be able to find a homestay with rooms available. Oooh to travel to raja ampat and visit that wonderful paradise. . .
We always dreamt about- but until we found your webside we thought that for to fulfill that dream one has to be very rich guys . . Finally through your site we learned about the small homestays , came last february for the first time to pulau kri – an spent unforgettable weeks at lumba-lumba homestay !! where we became friends with ribka and dedy, the local owners. As we are also divers we discovered, that dedy is a very good divemaster! We are an european couple living in pensiun now in bali since 5 years, so now we plan to come back to our friends in pulau kri every year for some weeks. And to all our friends we warmly recomand the place and your very helpfull website too. Today i read again on your website, as some indonesian travelling friends are arriving, and i did not find any informations about lumba- lumba homestay on pulau kri anymore. Perhaps this is a mistake? If you need some fotos or a little report we could provide that, if you like. We are very grateful for your website and appreciate your work to support the local people and their small homestays very much. Terima kasih baniak! We’re so happy the website helped: That’s exactly what it was built for. Thanks for taking the time to comment too – it’s much appreciated. 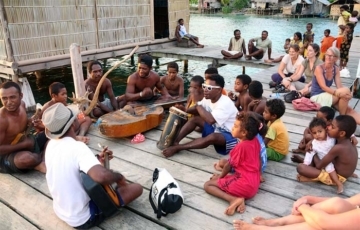 Lumba Lumba has unfortunately been temporarily suspended from the website until they can meet the standards required by the Raja Ampat Local Homestay Association. We have been in touch with Dedy and Ribka. They are working with the the Association to regain compliance and we hope to have them back on the website soon. Is there also a Chance to visit Pulau Ayu? Yes – it’s possible to visit Ayu, but getting there isn’t easy and would be quite expensive. The best place to start from would be Kabare on Waigeo’s north coast. There are flights from Sorong to Kabare. And really great and useful site!!! Which homestay or guide will provide this transportation from Kabare to Pulau Ayu? 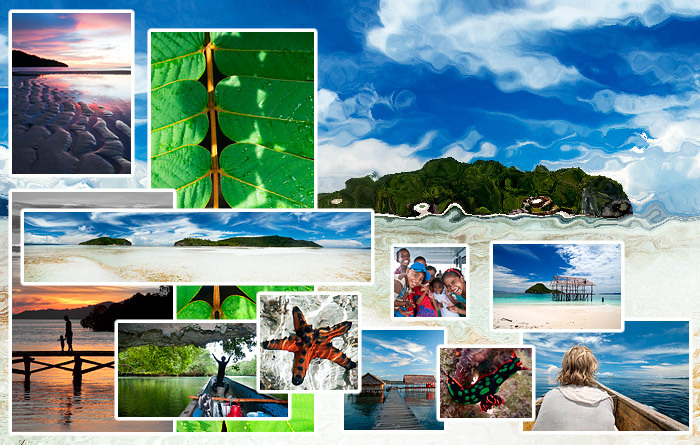 Do you know if there any homestay in Palau Ayu or should I bring a tend? And one more question, beginning of November is a great period to visit it? We only know of one homestay and guide on the north coast of Waigeo, but there may be others. We have never heard of any homestays on Ayu. You could also try to arrange transport from any of the homestays that offer Wayag trips (select that activity in the Advanced search on the accommodation page), or via the Sorong Tourism office. Whichever way you find to do it, it will be expensive! A really, really big thank you for this website! We found so much useful information to help us prepare for this adventure :-) We are flying off to Raja Ampat with our 4 and 5 year old kids this Wednesday and will be staying in Mambetron and Monkairi. We are all excited to explore the beautiful islands and sealife and are looking forward to get in touch with the families of the homestays. We will post how much we liked Raja Ampat after we come back. Thanks again. We would like to go to Raja Ampat this year and are no divers but like snorkling and jungle trekking etcetera. What would you advice, shall we stay at just one island or choose more? And which island can we choose for this? Does the fastboat only departs on monday, wednesday and friday? Thanks! O.k. thank you! We will do that. We are looking forward to stay on this beautiful piece on earth. We prefer to do some jungle hiking, snorkling, visit traditional villages etc. Hello people , I will arrive in Raja Ampat in end-January and will stay 15 days. I would like to buy a sim for my smartphone , can you tell me what telephone operator choose??? Can you give other information about telephone and internet? A Telkomsel SIM is the one you need, see this page in our Vital Information section for more about electricity, phone and internet. The organisation we work with is the Raja Ampat Local Homestay Association – all of the homestays on this site are members. You can find ones that offer Wayag trips by using the advanced search on the accommodation page. See this page for liveaboard tours. We (couple) are arriving in Jakarta on December, 29th, scheduled arrival 6:10pm. I couldn’t find a way to book a domestic flight to SOQ. Is rhere a reliable website to book those flights? Is it likely so get a flight out of CGK on the same day or should we stay for a night and proceed on the next day? As I understand, ferries sre leaving at 9am and 2pm daily. So it is best to arrive at least 2 h earlier. Follow the link at point 8 above – use traveloka to book your ticket. You could fly out of Jakarta on the Xpress flight at 1.10am. Sorong to Waisai ferries only run every day at 2.00pm. The 9.00am ferry departures are on Mon, Wed and Fri only. hai , umm just got a plan with my girlfriend and make a trip to RA , the budget isnt that huge , its around IDR 25.000.000 , is that enough for like 5 or 6 days there while enjoying snorkling and diving ? and btw the budget include’s the plane tickets ! some suggestion/opinions will do from you ! and btw were from Bali ! Your question’s answered in the info linked at point 2 above. As long as you don’t want to do a lot of diving and are careful with boat trips that should be enough. Snorkelling is free – but it’s best to bring your own gear. Hi, I dont know yet If I’ll go in this summer (and if I go, i’ll definitly will check your web again), but I really have to congrats you guys because this is a really good web site and I think you are doing a great job for the locals and for RA and for all the people that have intentions to go there. Keep the good work! (I thought you should know!) Peace! Awww – thanks AV – always nice to hear the work’s appreciated :) Hope you get to go soon! Hi Mo – you might get a better response if you also post this over on our facebook page. Good luck! We are coming to RA on the 30th of January 2015 and would like to stay at Mambetron homestay, but we cannot get in touch with Hendra or Yudas. Any ideas how we can get in touch and make a reservation? Communication with homestays is often difficult – you need to allow at least a few days for a response. Please see this article for more information. All the available methods of contacting homestays are provided on each homestay page. If you’re having trouble all we can suggest is to keep trying! is there some people who go to visit raja ampat. Maybe we can travel together so we can split the costs for tours and boat fees. we like also to dive. we will arriving the 2 of us at 6 april 2015 on Jakarta from the Netherlands. Posting this over on our facebook page would probably help increase your chances of finding travelling companions and would make it easier for folks to contact you directly. First, Garuda Air changed their schedule in Dec 2014 for flights to Sorong. Just FYI. Hi Ann – thanks for the headsup. It’s hard to keep up with airline schedule changes – that’s why we provide links to their websites and recommend checking! Up to you to decide how obliged you are to honour your booking at the first homestay. If it was at one of the busier ones then it’s probably no big deal to the owners, but a lot of the less patronised homestays have to spend cash to prepare for guests. Things like buying in food and organising fuel (or boat hire) to come and pick you up. No shows for those families are tough. hi..any recommendations for a place to stay for a night in waisai before the transfer to other islands? near the port? There’s nowhere near the port as far as we know – you have to go into town. We usually organise a pickup at the ferry and get straight out to the islands – Waisai’s not that nice! The only place we’ve ever stayed there was Penginapan Najwa Indah on Jl Abdul Saman Mayor – +6285244653444. It was OK. All mod cons and about IDR 450,000 a night. There’s a range of options in Waisai though. Trip Advisor might have some better recommendations. You’re welcome Sue. We don’t know a lot about the options in Waisai because there’s no homestays there and we try to avoid overnighting there as much as possible. If you’re heading for Gam or Kri there’s no problem getting there in the late afternoon if you’ve arranged a pickup with the homestay. Also – I didn’t think to mention them earlier because I took your “in Waisai” question literally – both Yenkangkanes and Warimpurem Homestays are a short drive from Waisai and are nice places to stay. Hi, Im wanting to go to RA on pretty short notice and fear i have missed the liveabords. Currently in Lombok Im finding it hard to get information from travel agents as they dont know too much about it. Will I be Ok flying into Sorong with nothing booked and taking it from there? Hi Callum. You’ll be fine. Either drop in at the Tourism Information Office in the Meridien Hotel opposite the airport and ask there or SMS/call the homestay of your choice now. Hello, is it also that easy in January? We arrive in Sorong tomorrow, 31st of December, where we booked a hotel for 1 night. So far we have no accommodation on RA. We started contacting several homestays a week ago, but most of them do not respond. The busiest of the homestays will more than likely be full, but you’ll definitely be able to find accommodation. The Tourism Information Office in Sorong should be able to help. I’m planning to go over next March. Most likely single traveller. Any recommendation for accommodation? I have diving license but not sure if I’ll want to dive. Is 4 days 3 night too short? Hi, my wife and I (early 30s) are heading from Australia to Thailand on our backpacking travels and would really like to visit Raja Ampat in February. Neither of us dive but we love snorkelling. How long should we aim to visit for and which island / homestay is best for the snorkeling? Thanks! Hi Chris – We think you should plan to stay as long as your budget and visa will permit – there’s so much to see! Almost all homestays have great snorkelling at the door, so it’s hard to recommend one in particular. If you haven’t already seen it, check out our Snorkelling in Raja Ampat article. You can also select the “Good house reef” checkbox in the advanced search on the accommodation page to quickly find homestays with great snorkelling. we need acommodation for 3 pax from november 2 nd to november 4 th .pls can you advise us acommodation plus price . Click the blue links in steps 4 and 5 above to choose a homestay and see their prices polona. we will be in raja Ampat during next Lebaran Holiday in August..
will it be possible during that period to go to Wayag ? How could we arrange for Speedboat and also other guests to join us ? because we are only 3 persons .. Hi..I stay in sorong..just want to inform you that ‘the south wind’ will end up in august or early september, So it’s a little bit difficult to reach wayag..